Welcome to Eastern Shore Gardener and Hackberry Point! Although we haven’t had a hard frost yet, there’s finally enough of a nip in the air to signal the end of the growing season. And, while my coleus aren’t dead yet, they’ve certainly ceased being ornamental. I have to say, I’m looking forward to having a bit of time to reflect on last year’s garden and plan the next. What better time to start a blog? 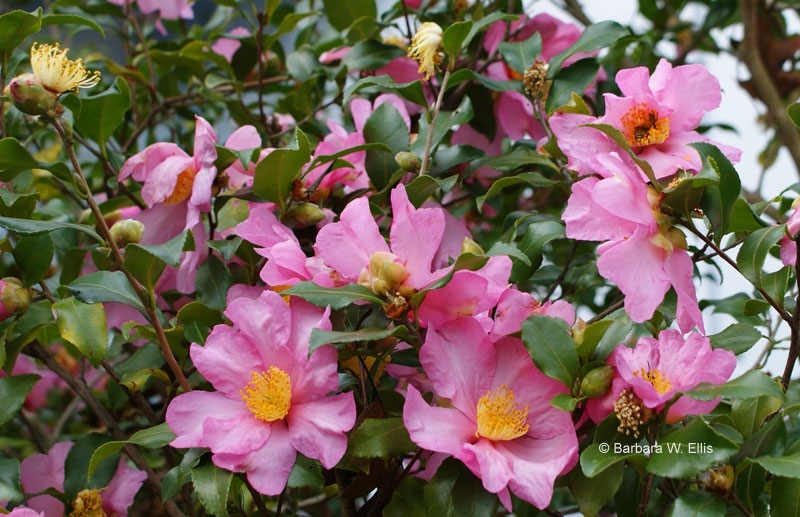 ABOVE: A single pink camellia (Camellia sasanqua) is one of the last plants to finish blooming here at Hackberry Point. I usually still have flowers right through Thanksgiving.